Puketapu is using Smore newsletters to spread the word online. Thank you to all those who are working so hard to make our drop off bay a flowing system. Remember, please drive all the way forward so there is space for others behind you. Have you tried pick ups from our other entrances? Northpoint Church car park (Mangati Road) backs onto our field and in the other corner of the field is a walkway through to Dillon Drive which is much clearer of traffic. Totara team went for a hikoi to Bell Block Beach a little while ago. 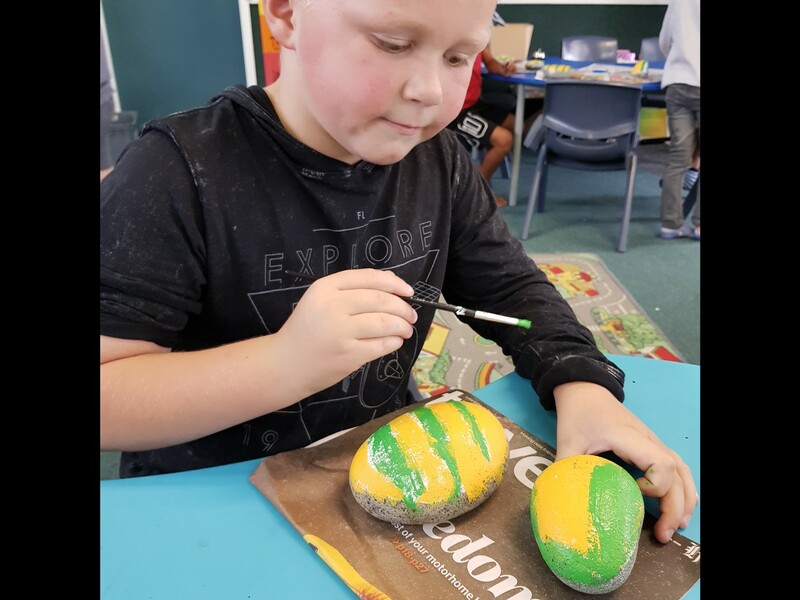 We listened to a karakia giving thanks for the treasures we were about to take from the beach and then had to find two suitable rocks for painting. The tamariki have been busy painting them over the last few weeks to represent Puketapu and put them out into the community to spread the Puketapu word. 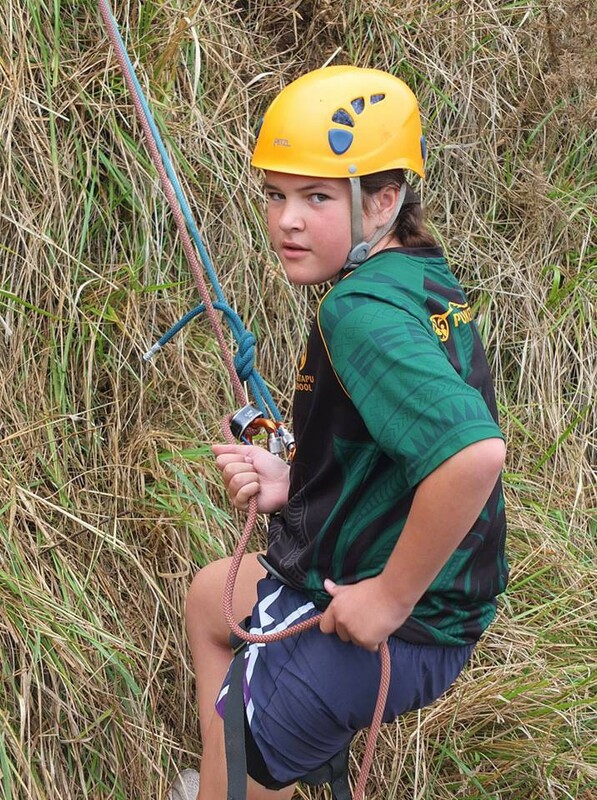 These are some from Totara 3. 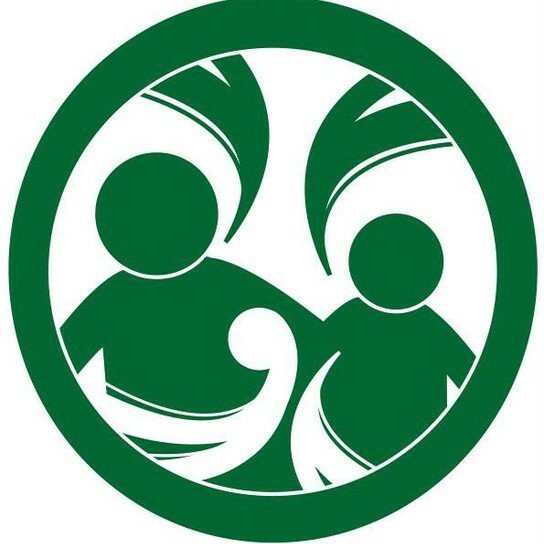 Mana Aoturoa is new to the Kauri Hub. It means to learn through exploring and experiencing the Wider World. 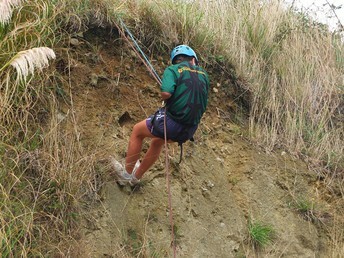 We went out on our first outing last week which was abseiling. 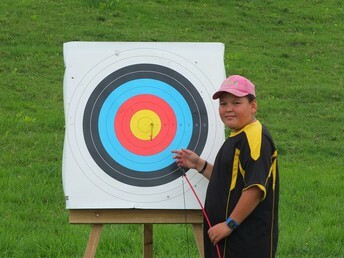 We also managed to squeeze in some archery as well. A big thanks to Jeremy from Unreal Adventures for making this possible. What great start to the week in Design Tech we have had. All students have been engaged in their area of learning. Micro:bits - I have brought in some crocodile clips, so now the programs that have sound can be played through headphones. Today we even saw a banana keyboard! I tested it and when the banana was tapped, there was a sound. So cool! A few boys also made a maze today for our robot cars to find its way through. After seeing the tutorial for this on the Micro:Bit website, myself and 3 students decided to give it a go. 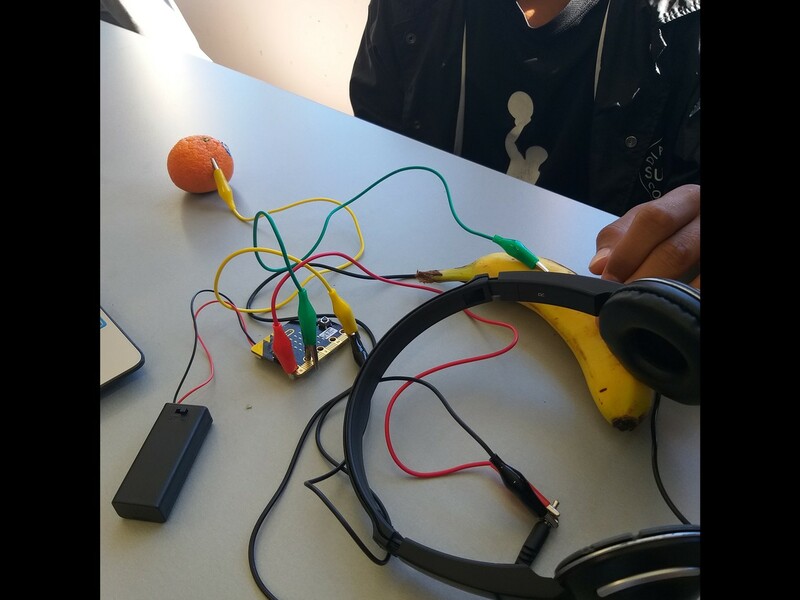 We connect a banana and an orange up with crocodile clips to the micro:bit and a pair of headphones. Then we wrote a small amount of code onto the micro:bit and got it working. 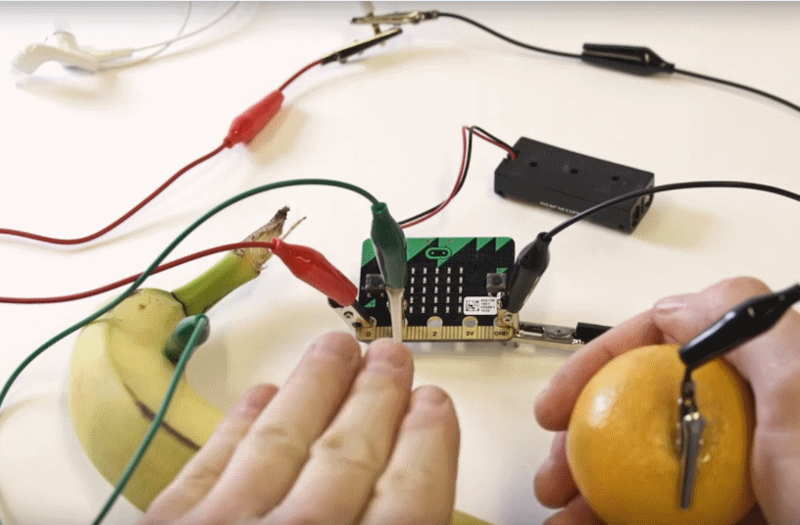 When you held the orange in one hand you could tap the banana with the other and it played a sound. 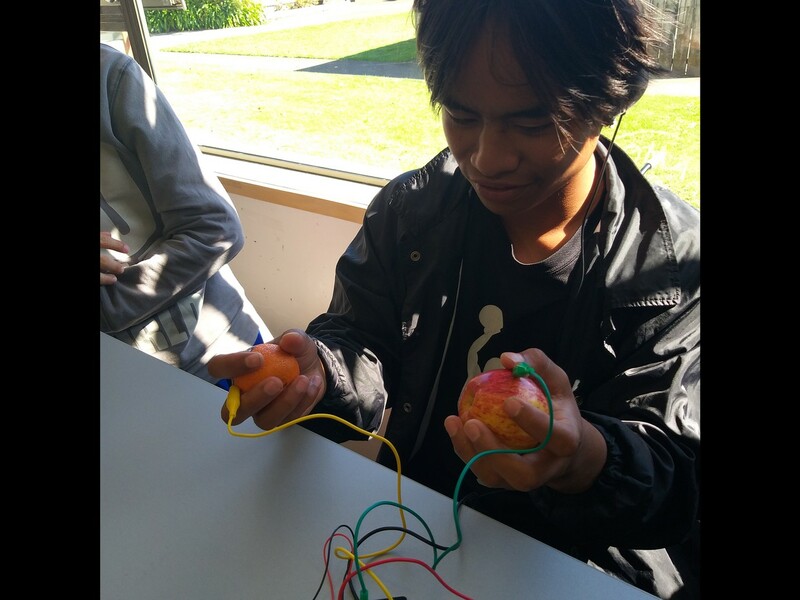 Then we wondered if it would work with an apple instead of an orange? It did! Then we swapped the banana and the apple around, and it still worked. Success! Food - a couple of students have used the ovens and stove tops for the first time in our new room. Special mention goes to the grapefruit and blackberry friands, as taste tested by Mrs O and our visiting ERO inspectors. Yum yum! Sewing - this week the same boys are working on making a drawstring bag with stenciled art on them. This saw us using maths and problem solving skills to figure out the correct size. I have to say the students look like they are having a blast in Design Tech, and I can't wait for next term to start on our new unit of work. 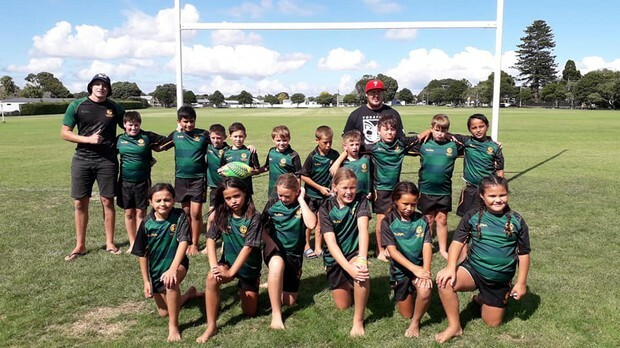 On Tuesday Matua Brody took a group of keen players to the Tony Kemp Cup League competition at Clifton Park in Waitara - Where we made the Finals! Well Done, on a great result and showing Kia Kaha. It was great having all the whanau there to support our team! A huge thank you to all our parent helpers and well done to our tamariki! On Tuesday a small group of students went to the Interschool Swimming sports held at the Bell Block Pool. These student were chosen from the school swimming sports held in week 7. This year we were able to send a competitive team and we had many students making finals and even had two students in a couple of finals. The students truly showed Kia Kaha and showed their best. Special mention must go to Yelena Poching and Tiki Ngarangi who both made all their finals and were very unlucky not to place with a couple of 4th placings. Our Puke pride was definitely on show and schools commented on how we should win the prize for the loudest cheer squad. The more children read, the better readers they become, and the better readers they become, the more they enjoy reading. Issue 2 of Book Club is out now. Orders need to be back at school by this Friday 5 April or you can order online using The Loop. Order and pay at the office before 3.30pm on Wednesday. 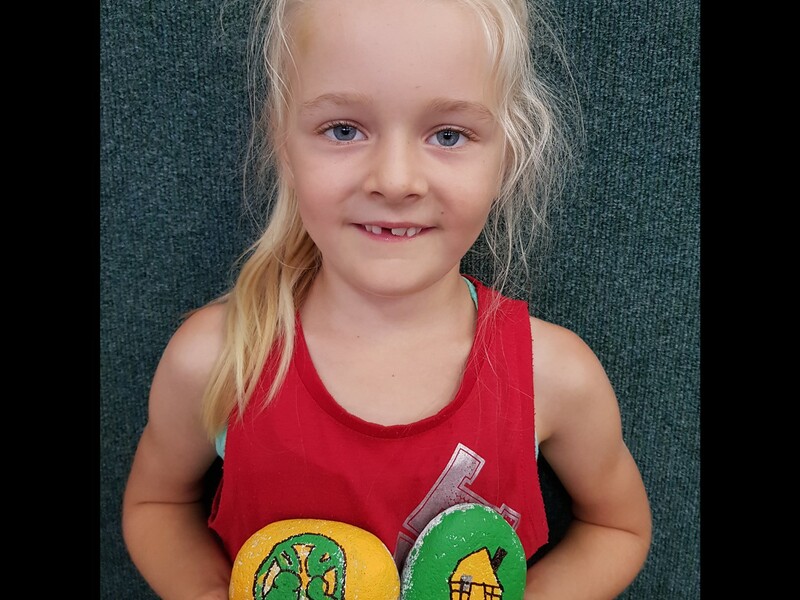 Congratulations to all our Puketapu Superstars, showing our School Values and being awesome! After 7 weeks of term 1 - The results for the Crestclean Cleanest Classroom Competition are very close! 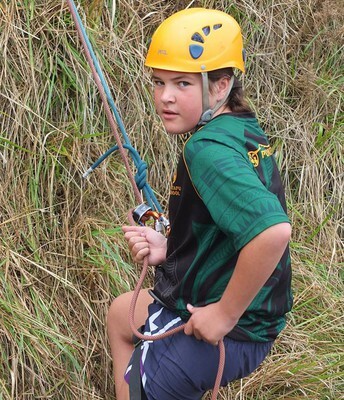 Out of a possible 70 (perfect score) Rimu 1, Kowhai 3 and Kowhai 4 are tied at 68 points! There is a couple more weeks of results still needing to come in...so who will the winners be? It is the last few days for prize donations and tickets. Don't miss out on your chance to win some gorgeous goodies and help support our Year 5 and Year 6 students raising money for end of year camp. There are a small number of tickets for sale at the office today. 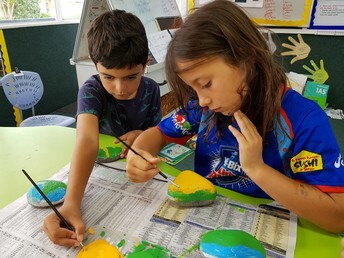 Created by 2x World Aerobic Champion Brett Fairweather, specifically for primary and intermediate students and teachers. Designed to challenge fundamental movement skills, increase fitness, develop student leadership & motivate students to move and enjoy exercise. JUMP JAM is a fusion of dance & fitness disciplines along with cultural interpretations that capture the look, attitude, posture and elements of Aerobics and Fitness. Statements have been sent out this week. If you haven't received yours, please check we have your correct email address. Thank you to all those who have paid their account promptly. We still have quite a few people owing for things from last year, so if you are not up to date with your account, please pay at the office or online. Thank you to everyone who has made a School Donation. We don't have School Fees but we do ask for a donation if you can. As a guide this might be $20 per term, but it is a donation so you can choose the amount which suits you. Everything donated goes towards making amazing learning experiences for our learners. Starting from 10am Sunday 7 April at Waiwhakaiho Park, in New Plymouth. As part of their Heart Week next week, some friends at City Park Church are helping sort out our gardens and planters. We would like to replant the wooden planters with herbs so we would love any donations of herbs that you might have. Mint, sage, rosemary, thyme... any herbs would be great. Also, any donations of potting mix or compost would be amazing. Please bring to the office if you can help. We have had a reported case of Hand Foot and Mouth at school. a general feeling of weakness or tiredness. The disease is usually mild and lasts 3–7 days. Children are contagious (‘catching’) for around 7–10 days. Keep your child home from childcare or school until blisters have dried. If blisters are able to be covered and the child is feeling well, then they are clear to come back to school. Gumboot Friday is this Friday. Wear gumboots and bring a gold coin donation for I am Hope the organisation working hard so Kiwi kids get free mental health counselling and support when they urgently need it. 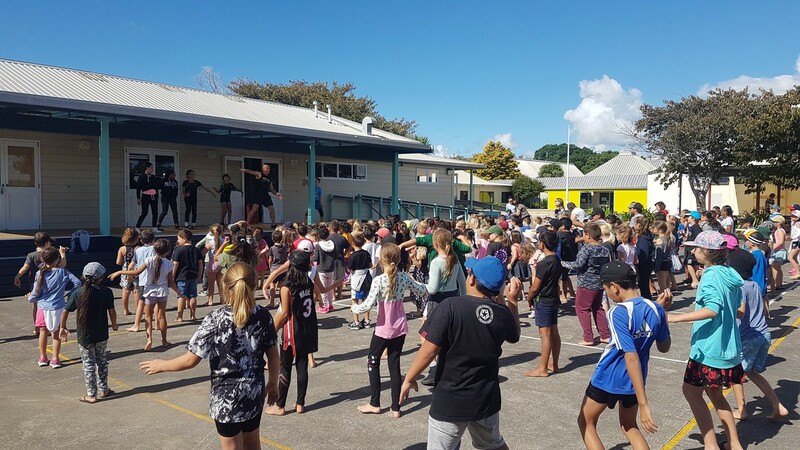 For more Gumboot fun, Kauri are organising a Gumboot Throw competition at lunchtime. 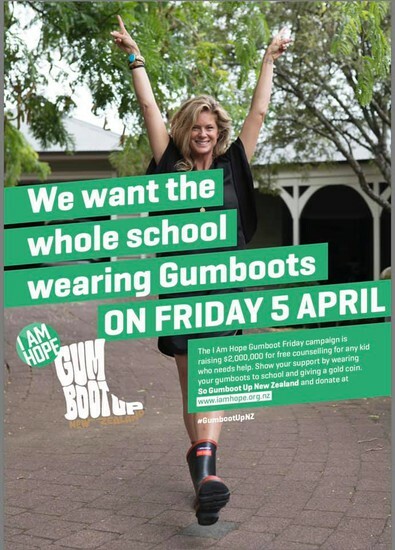 Gumboot Friday - wear gumboots and bring a gold coin donation for I am Hope. Join in the Kauri Gumboot Throw competition! 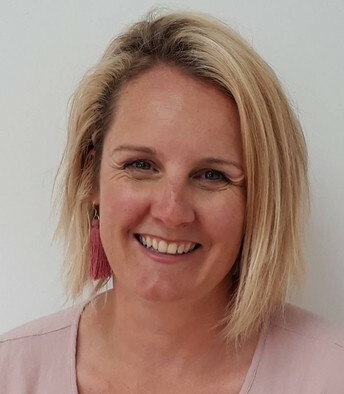 RNZ Ballet Dance Educator, Pagan Dorgan, will be visiting Puketapu School for two lessons in our hall on Monday 29 April - that's the first day of Term 2. This is suitable for boys and girls, dancers and non-dancers. Please come check for your lost items. There is a lot waiting to go home. Anything left at the end of term will be donated to charity. We have a wonderful variety of arts & crafts projects, from cardboard construction to sketching and painting. If you'd like a program, simply text Angela 0211 021 861 or email theartclubnp@gmail.com. Follow The Art Club on Facebook to see all the amazing work created over the last few years. We also have after school classes during term time, Tues, Wed & Thursdays.